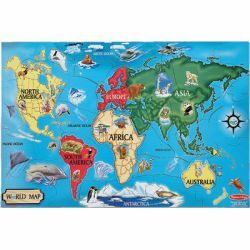 Extra-thick cardboard pieces with an easy-clean surface make these oversized floor puzzles durable fun. Approximately 36" x 24". 33 pieces. Ages 3 and up.